Figure out what’s at the heart of your tardiness, and use one of these strategies to work on it. We all have that friend (or may be you're that friend) who just can’t seem to make it on time — to just about anything. They just had to finish one more email before they left the office. They got stuck on a call with a friend. They got so wrapped up in a project they completely lost track of time. 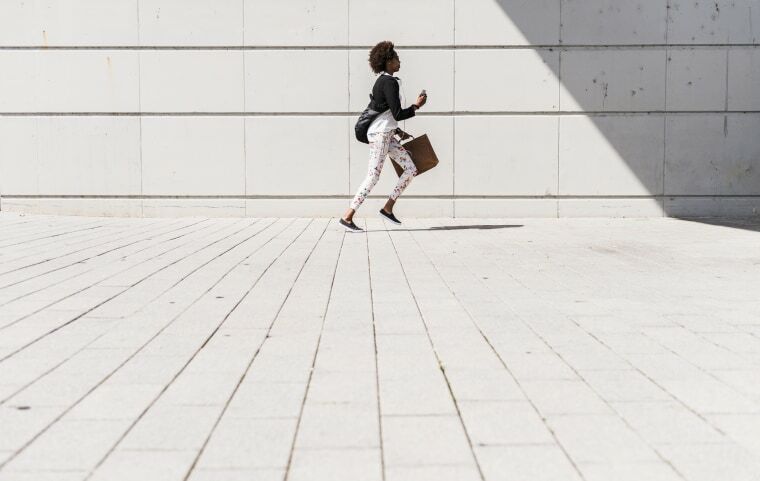 There’s no one reason why some of us tend to be the type of people who always run late, says Emily Waldum, PhD, a cognitive psychology researcher. And there’s probably no one reason to explain why any one of us individually tends to run late again and again. “There are many potential contributing factors,” she says. Anecdotally it might seem that people who are less conscientious are the ones who tend to run late — or it might at least make intuitive sense. But there’s little research to back that assertion up, Waldum adds. The same goes for optimism. It kind of makes sense that people who are more optimistic might be more likely to not consider potential delays. But there’s surprisingly little research on how personality factors influence timeliness, according to Waldum. Waldum’s post-doc work at Washington University in St. Louis investigated what makes some people better at estimating how long tasks take and time management, not surprisingly finding that one thing people who run on time do tend to have in common is that they tended to check the clock more often than those who tended to run late. You may feel like you need to fill every minute with an activity or be super-productive all the time (or do one more thing on the way out the door). Or the fear could be more of a social anxiety around having to wait by yourself somewhere. You also might be bad at ending things — saying no to that coworker who asked for help on your way out of the office or cutting off the conversation on the phone with your mom so you can get to your appointment. It also might be a cultural psychology thing, explains Robert Levine, PhD, professor of psychology and social psychology at California State University and author of "A Geography of Time". In the U.S. we tend to keep “clock time,” meaning if a meeting is scheduled for 2 pm, that means it is expected to start at 2 pm. Other cultures follow what’s known as “event time.” Things begin and end when everyone shows up and there’s mutual consensus the thing should begin or end. Brazilians, for example, tend to run on event time. “It’s a whole different attitude toward time,” Levine says. What’s probably not making you late is an underlying feeling that your time is more important than everyone else’s. But oftentimes, lateness still comes off as inconsiderate. “Most people who are on time all the time work really hard to be on time,” Morgenstern explains. They broke their back to get there on time and when you show up late, she says, that type of behavior comes off as rude. Lateness can also add a lot of unnecessary stress to a situation. If it’s a business meeting, you’ve kept people waiting, someone needs to rearrange the agenda on the fly to trim it down, and if things don’t end up getting finished, the group may need to meet again, Morgenstern says. If the engagement is a social one, the person waiting may feel let down, she adds. You’ve cut into time they set aside to be with you, and they may have time on the other end to stay late (even if you do). Mentally and emotionally, lateness can affect self-confidence, Morgenstern adds. “You’re late, you’re apologizing, you feel like you have to make up for it, so you’re never really in the moment,” she says. That guilt and other negative emotions can stop you from enjoying yourself as you otherwise would. It can make you feel out of sync with everybody else and less a part of the group. “It’s like a hole you can’t quite dig out of,” Morgenstern says. The good news is that there are things you can do to get better at running on time. Here’s what the experts suggest. 1. Redefine what it means to be late: Early means on time. Aim to get places 10 to 15 minutes early, rather than when the event is supposed to start, Morgenstern says. That’s your break-you-neck-to-get-there-on-time, arrival time. Plan something concrete to do (like reading a book or deleting junk emails from your phone), so even if you are waiting, there’s no downtime. “It’s a game changer for people who are late,” Morgenstern says. And practice those lines so you’re ready to use them in the moment, Morgenstern says. Use an alarm to remind you when you need to leave the house, when you need to get up from your desk to make it to your meeting on time, when you need to stop working to make your dinner plans, or whatever transitions you struggle with, Morgenstern suggests. If you struggle with estimating how long things actually take, time yourself. How long does it actually take you to get ready in the morning? How long does it actually take you to finish up a work task you do over and over again? Start with the things that always end up taking longer than you think, Morgenstern suggests. If you find that things are regularly taking longer than you think they should, then evaluate ways to streamline the inefficiencies (rather than just blindly hoping those things will take less time than they do). Mutli-tasking can be depleting, Waldum says. If you’re talking to your sister on the phone, packing lunch, and trying to make a shopping list, it’s going to be tougher to check the clock and stay on task than if you were doing any one of those tasks alone. 6. Remember, the clock is your friend! Clocks tell us how much time you have until you need to perform a task, and they might remind you to do something. (Oh right — it’s 4:30 pm. I need to pick up the dry cleaning by 5 pm.) Not surprisingly, lots of research finds that clock-checking does make you more likely to be on time. “The clock is your friend,” Waldum says.